Werner's Oven Laugen Brezel, originally uploaded by Camemberu. I love the breads at Werner's Oven. 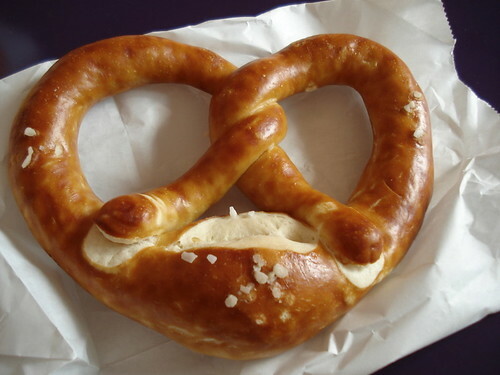 Bought a farmer's (very multi-)grain loaf and a laugen brezel (soft chewy pretzel - love those coarse salt crystals). Also brought home some sweet pastries - cherry streusal, butterkuchen and sour-sweet cherry muffin.